Donald W. McArdle, 77, of Eatontown, passed away on October 27, 2018 in Long Branch, NJ. He was born in Newark, NJ to the late Francis G. and Catherine (Swarbrick) McArdle. A 34 year resident of Eatontown, Don previously lived in Maplewood and Newark. Prior to his retirement, Don was a supervisor for ADT in Edison. He was a former member of the Knights of Columbus in Union and was a past president of the Bowling League. He enjoyed many sporting activities and in prior years was active with the Eatontown baseball programs and St. Dorothea's Kingsmen basketball program. 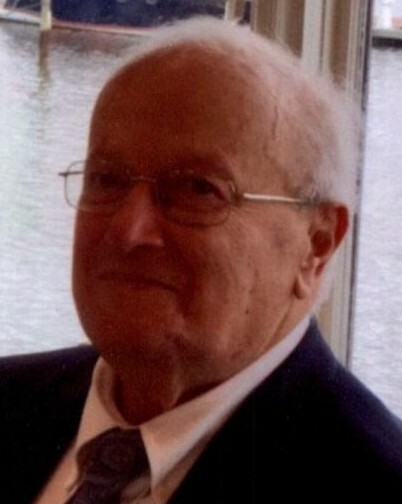 He enjoyed watching sports, was an avid fan of the New York Yankees and NY football Giants, and especially loved spending time with his family and friends. Don is predeceased by his brother Francis McArdle. He is survived by his beloved wife of 51 years Patricia (Duggan) McArdle; his loving sons Brian McArdle and daughter-in-law Christine, of Pomona, NY, and Thomas McArdle and daughter-in-law, Michelle, of Chicago, IL; his brother Robert McArdle and sister-n-law, Eleanor, of Wildwood Crest and his sister Mary Ferrise and brother-in-law, Michael, of Union. Also surviving are loving grandsons Matthew, Jack and Conor, as well as nieces and nephews. Visitation will be held at the John E. Day Funeral Home in Red Bank, NJ on Thursday, November 1, 2018 from 4-8 PM. A Mass of Christian Burial will be held at St. Dorothea's RC Church in Eatontown on Friday, November 2, 2018 at 10:30 AM with burial to follow at Woodbine Cemetery in Oceanport. In lieu of flowers, memorial donations may be sent to St. Vincent de Paul Society, Inc., c/o St. Dorothea's Church, 240 Broad Street, Eatontown, NJ 07724.